These New burst smoke effects are ideal for creating a smoke backdrop in a short space of time great for special effects for making videos or live performances. Enola Gaye smoke grenades are designed for paintball and airsoft….These are games that involve ambushes, assaults, tactics and subterfuge. So why would you want a smoke grenade that burns for a long time? That’s what signal smokes are designed for. A real mans smoke grenade is designed to give you cover real quick! If you are leading a team assault, the last thing you need is to be tapping your foot whilst the smoke cover becomes thick enough for your impending attack. Burst smoke…pull the pin, chuck it in, show them who’s boss. Our Burst Smoke Grenades are twin vented, once ignited the composition inside burns very quickly. These grenades are not designed to be hand held, otherwise you are going to find yourself with smoke shooting up your sleeve…you have been warned. 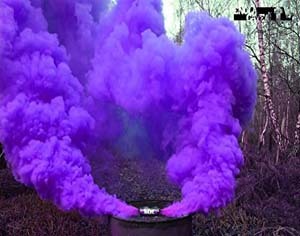 The purple Burst smoke grenade creates a massive red curtain of smoke within seconds from the twin vented unit. This smoke product is not designed to be hand held; if you decide to hold on to it for too long it will shoot a column of red smoke up your sleeve and out the neck of your shirt. We are the main distributer for enola gaye smoke grenades in the North West and supply many local enterprises smoke grenades and flares at wholesale prices. We sell smoke grenades and flares at wholesale prices for larger ammounts. If you are looking for wholesale prices for smoke grenades and flares please give us a call to discuss your requirements. If you have a large wedding and you are looking for more than 10 pcs we will be able to do you a much better price. 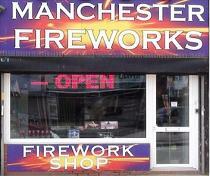 The more smoke flares and grenades that you buy - The better the price that we can do for you. If you see any of our smoke products on other websites with a cheaper price give us a call and we will see what we can do for you - We will always try to provide the very best possible price for smoke grenades and flares. • For persons of 18 years and over ONLY. • Do Not use near easily flammable material e.g. fuel, tinder dry foliage. • DO NOT throw at animals. 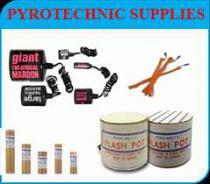 • The manufacturer will not accept liability whatsoever where these pyrotechnics are misused or where the product has been tampered with and/or customised. • Handle with Care, Do Not subject to grinding, shock or friction. • Device gets HOT do not pick up within 5 minutes after the device has stopped functioning.